The European Union is looking into the current fragmentation in smartphone connectors and has setup an inquiry to see if a single connector type can be mandated across all smartphones. While the issue of multiple plugs is almost passe, Apple's Lightning Connector differs from the standard micro-USB or USB-C connector that is common amongst Android smartphones prompting the EU to investigate if some sort of standardization can be achieved. The European Union has setup a commission to look into the standardization of smartphone chargers. EU Commissioners for Competition and Internal Market, Margrethe Vestager and Elzbieta Bienkowska, are investigating the feasibility of charger compatibility between various mobile devices. 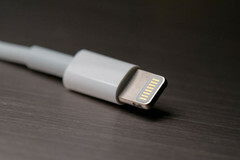 Apple's mobile devices use a Lightning Connector whereas most Android phones today use either micro-USB or the newer USB-Type C making chargers incompatible with each other unless adapters are used. Almost a decade ago, we had most phone vendors using their own chargers and ports, which made charging devices a hassle especially if you've left the charger at home and also led to accumulation of unwanted chargers e-waste. Then, most smartphone vendors, including Apple, submitted a Memorandum of Understanding (MoU) to the EU pledging to use micro-USB as a universal charging port across all mobile devices. But given the limitations of micro-USB that did not allow it to keep pace with technological developments, Apple opted to develop its own Lighting Connector that offered various advantages over micro-USB including a fully reversible connector, increased bandwidth, screen mirroring over HDMI, and high quality audio transmission. Android OEMs, on the other hand, have started the transition to USB Type-C, which does offer most of the advantages of Apple's Lightning Connector but there are many budget Android devices still using the older micro-USB standard. So we now have three major connectors, which is still not quite the standardization the EU had hoped to achieve 10 years ago. It remains to be seen whether Apple would switch over to USB Type-C for the 2019 iPhones and iPads in which case, this EU inquiry becomes moot. Although the fragmentation is a lot less now than it was a decade ago, the EU wants to truly harmonize all chargers. While this is a good thing, there could be specific instances why OEMs would want to opt for a proprietary charging and docking port. The Surface Pro (2017), for example, lacks USB Type-C but instead relies on the proprietary Surface Connector for reasons best known to Microsoft.